PlanetRead aims to help everyone around the globe read in their native language. How? With same language subtitling (SLS). PlanetRead and the Indian Institute of Management in Ahmedabad developed the methodology which, according to the non-profit’s website, has “doubled the number of functional readers among primary school children” in India. Illiteracy is a global crisis. According to Project Literacy, a campaign that also works to decrease illiteracy around the world, 758 million adults can’t read. Including school-age children, as many as 900 million people cannot read properly. Among them are 32 million Americans and 300 million Indians. Regarding India, UNESCO ranks the country 147th out of 177 countries in literacy. Even those who can read have trouble deciphering a newspaper headline. But PlanetRead has found a cost-effective and entertaining way of reinforcing people’s literacy skills. It uses the power and reach of entertainment to fill the need for reading education, especially in rural areas where schools are often inadequate. In India, for example, where Bollywood films are omnipresent and their influence huge, numerous people watch one TV set, viewing the film songs with the SLS on national programs. 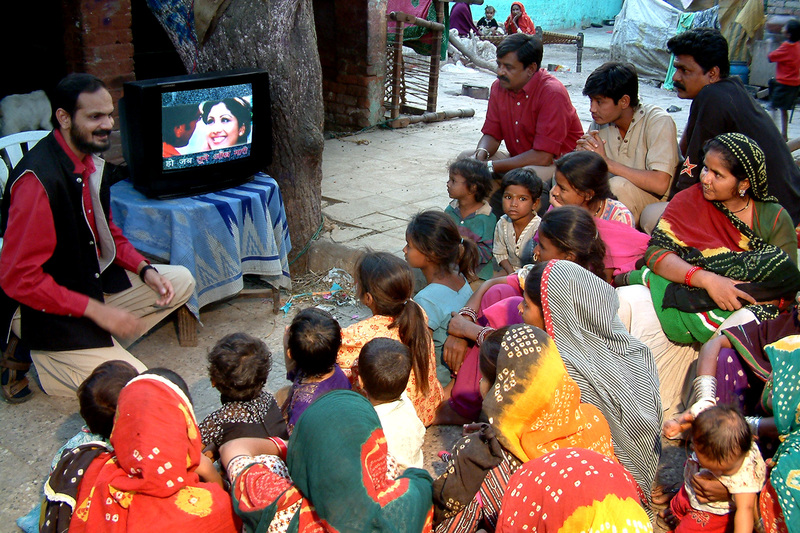 The children sing the songs they hear while reading the subtitles. This provides automatic reading practice for the millions who have only basic familiarity with the alphabet. Adults and children alike declare the SLS helps understand the language and the songs’ meaning. It also helps with writing. Since SLS was first introduced in India in 1999 on a film song program, research that includes eye tracking shows the approach has improved reading skills on a massive scale. Independent surveys conducted by the ACNielsen-ORG Centre for Social Research found that 90% of viewers prefer having the SLS on the screen and that it accelerates reading improvement not just in children but also in adults. What’s more, 3-5 years of exposure enables people who only have a basic knowledge of the alphabet to become functionally literate. It is especially appreciated and effective because it reinforces literacy skills in a fun way. The news gets better. SLS is very economical. PlanetRead has calculated that providing 30 minutes of reading practice per week via SLS to 5,000 people for one year costs just $1. And this weekly exposure “increased the functional literacy rate from 25% to 56% among students with at least five years of schooling”. Traditional literacy campaigns aimed at providing reading education to the same number of people are thousands of times more expensive. In addition, adding SLS to TV programs has increased these shows’ ratings by 15%. Contact csr@planetread.org for more information or to find out how you can support PlanetRead’s efforts. And donating just $1 allows PlanetRead to make 10,000 people read for one full year.